Quetzalcoatlus pterosaurs. Computer Quetzalcoatlus sp. pterosaurs was an enormous pterosaur that lived from 70 to 65 million years ago, during the Late Cretaceous. They were the largest known flying animals to have ever lived and had wingspans of up to 11 metres. 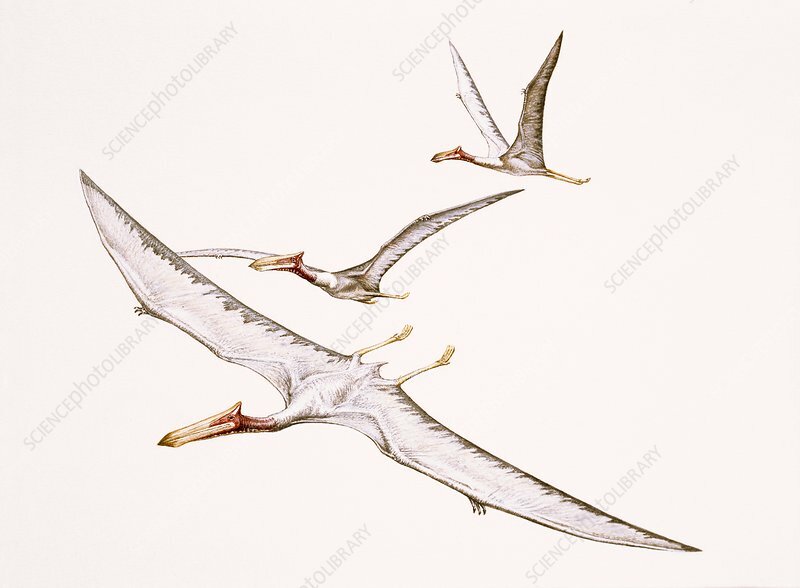 Pterosaurs flew with wings formed from a membranous structure stretched between the ankles and a lengthened finger.